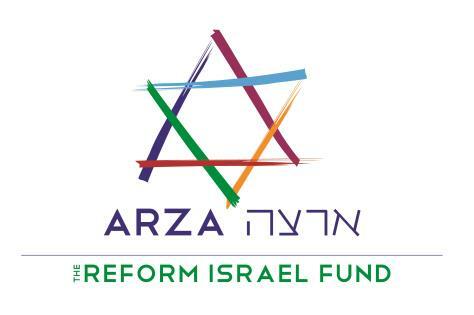 Following extensive consultations with experts from across the political spectrum in both the United States and Israel, and thoughtful conversation with North American Reform Jewish leaders, the Reform Jewish Movement today issued a leadership statement on the Joint Comprehensive Plan of Action (JCPOA). Our tradition teaches us never to wage war without first seeking vigorously the possibility of peace (Deut. 20:10). In that spirit, we applaud the diplomatic efforts of the Obama administration to keep Iran from acquiring or developing nuclear weapons. We thank President Obama for his commitment to diplomacy, and we express our gratitude to Israeli Prime Minister Netanyahu for keeping the world focused on the danger posed by Iran. The end product of the Administration’s diplomatic efforts – the Joint Comprehensive Plan of Action (JCPOA) – is challenging to analyze. Some argue that it offers the most promising path forward to prevent Iran from becoming a nuclear state. Others argue that while the agreement has serious flaws, the consequences of rejecting it create far more perils and damage than implementing it would. Still others argue that it does not do enough to prevent and/or contain the danger that a nuclear Iran would pose. We recognize that these arguments have merit: The JCPOA does present a way forward, there are real dangers to rejecting it, and it does not foreclose Iran’s ability to become a nuclear weapons threshold state. The Reform Movement is large and diverse. Within the Movement, reasonable people – patriotic Americans and passionate Zionists – have expressed different and valid positions on this agreement, articulating the many arguments made by others as well. Our focus must be on two questions: First, how is it possible to address our concerns about the JCPOA? Second, if the agreement is finalized, what happens the day after? Specifically, how can we work to support the strongest possible U.S.-Israel relationship going forward? At this time, there is no unity of opinion among the Reform Movement leadership – lay and rabbinic alike – just as there is not unity among our membership as to the JCPOA itself; but there is unity as to the important questions and concerns we pose in this statement. Thus, there is simply no clarity that would support taking a position “for” or “against” the JCPOA itself. We are deeply concerned about the tension, and the harsh rhetoric, in the discourse between President Obama and Prime Minister Netanyahu. We fervently hope that both President Obama and Prime Minister Netanyahu will take concrete steps, transcending politics, to repair the rifts that impede this relationship between longstanding and essential allies. We say this sincerely believing that President Obama and Prime Minister Netanyahu are fully committed to the unique U.S.-Israel relationship and with appreciation for the President’s many efforts to support Israel. It is important to emphasize that as American Jews, we are concerned about this agreement not only as Jews, but also as Americans. Iran’s regime poses a serious security threat to the people and nations of the region who continue to suffer from Iran’s support for violence and terror, including the State of Israel. We have had numerous conversations with and briefings from experts on global security and diplomacy, military experts from the U.S. and Israel, Republican and Democratic elected officials, and Israeli political leaders from the left, center, and right. Those extensive consultations leave us with five principal areas of concern: deterrence, Iran’s support of terror, inspections, human rights and religious freedom, and the United States’ standing in the world. Deterrence: We call on President Obama to issue an unequivocal statement that at no point will the U.S. accept a nuclear-armed Iran. The Administration must state clearly that in the short term, and more importantly, 15 years from now when key provisions of the JCPOA expire, the U.S. will take no option off the table when it comes to preventing Iran from attaining nuclear weapons capability. We also call on the U.S. to provide Israel with the support necessary, including advanced weaponry and the means to deliver it, to further deter Iran, protect Israel’s security, and maintain Israel’s qualitative military edge. This could take the form of a new defense alliance between the U.S. and Israel similar to NATO. These steps are necessary both because of the prospect of Iran developing or obtaining nuclear weapons, and the possibility of increased military activity in the region, which is an inherent and likely consequence of the inevitable lifting of sanctions that any agreement containing Iran’s development of nuclear weapons would entail. Iran’s Support of Terror: Iran’s longstanding and persistent threats against Israel, the U.S. and others, as well as its record of support for international terror organizations including Hamas and Hezbollah, are not addressed by this agreement. We urge the Administration to work with our European allies to ensure that harsh international sanctions will be adopted if Iran leverages its newfound resources to further fund terror activity. The U.S. should also commit to leading a broader international effort designed to eliminate Iran’s support of international terror. Human Rights and Religious Freedom: Iran remains one of the world’s great violators of human rights and religious freedom. The Administration has committed to keeping the sanctions related to human rights fully intact after this agreement and must further commit to marshaling international pressure on Iran to make improvements in expanding human rights, religious freedom and the development of democratic structures. The United States’ Standing in the World: After years leading negotiations between the P5+1 and Iran, U.S. credibility on the world stage and/or in the Middle East has been weakened in recent months as the American political process has unfolded. It is critical that the U.S. maintain leverage to address future international challenges in a manner that protects and advances national interests and especially promotes peace in the Middle East. We recognize that the broad international sanctions currently imposed on Iran, and which played a key role bringingIran to the negotiating table, are in the process of collapsing with the U.N. Security Council, the Russians, Chinese, and certain Europeans moving to lift their sanctions even as we speak today. The U.S. influence and support of Israel is crucial to maintain peace in the Middle East and a safe Israel. Whether the JCPOA is approved or defeated, there will be a day after. It is essential that this debate not be allowed to create a lasting rift between Israel and the U.S., between North American Jews and Israelis, or among American Jews. We are concerned, as well, with the possibility that some will use the debate as fuel for anti-Semitic views. We call upon the Israeli leadership, the U.S. Administration and members of Congress, and those on all sides of this debate to tamp down their rhetoric. If the debate is allowed to weaken the U.S.-Israel alliance, or further sharpen partisan divides over what it means to be “pro-Israel,” Israel will be less secure. And on the day after the vote, as on the day before, Israel will need the United States’ continued military and political support, bilaterally, in the United Nations, and more broadly on the world stage. Our Movement believes in vigorous debate. But that discourse must be civil and constructive, which has too often not been the case. There must be an open and welcoming tent as we continue to debate not only the future of this agreement, but also the very nature of what it means to be pro-Israel. Our Movement is deeply pro-Israel, though we express that core conviction in many different ways. No one should be compelled to defend his or her Zionism or support for Israel as we express legitimate views, both pro and con, about this most difficult issue. When our people gather in little over a month for the High Holy Days, members who support the deal will pray alongside those who do not. If the harsh judgments and rhetoric continue between Washington and Jerusalem – and within our American Jewish community – we will be deprived of a deep commonality that binds our people together. Calling those who oppose the deal “war mongers” shuts shown constructive debate; calling those who support the deal “enablers of a second Holocaust” ends thoughtful discourse. These coming weeks provide the Administration with an opportunity to address the JCPOA’s serious limitations, and for all parties to this discussion – the Administration, members of Congress and the opponents of the deal in the United States and Israel – to establish a tone of civility and respect on these critical matters. As always, we pray for peace. We pray that 5776 and the years to follow are a time of peace for all people.